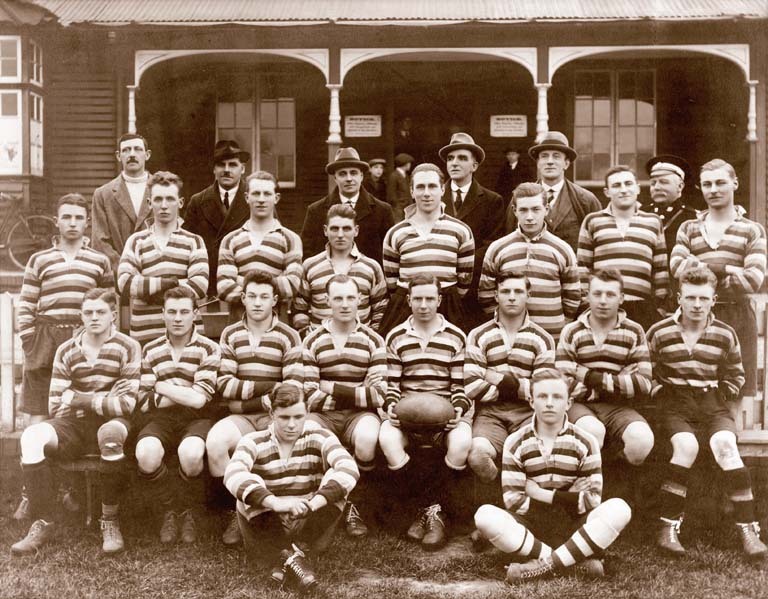 Back Row: C Brown (Ref), S Harding, W Banks, G Gray, A Ford, C Curtis (St John Ambulance). Middle Row: F Miles, A Morley, J Love, G Parfitt, B Simpson, J Nudds, P Skinner, W Banyard. Front Row: J Sheppard, S Watts, E Dunscombe, H McDaniel, A Anderson (Capt), C Woodward, L Seal, F Rhymes. Seated: R Banks, D James.